The Tonic Glycolic Acid Omiline, a substance belonging to the family of Alpha-Hydroxy Acids (AHA fruit acids’ s) is suitable for a deep cleansing facial. It is used for all skin types, especially those impure, aging and dry skin. No need for restriction of the season. It contains a low percentage of glycolic Adico which is essential during treatments in the salon. 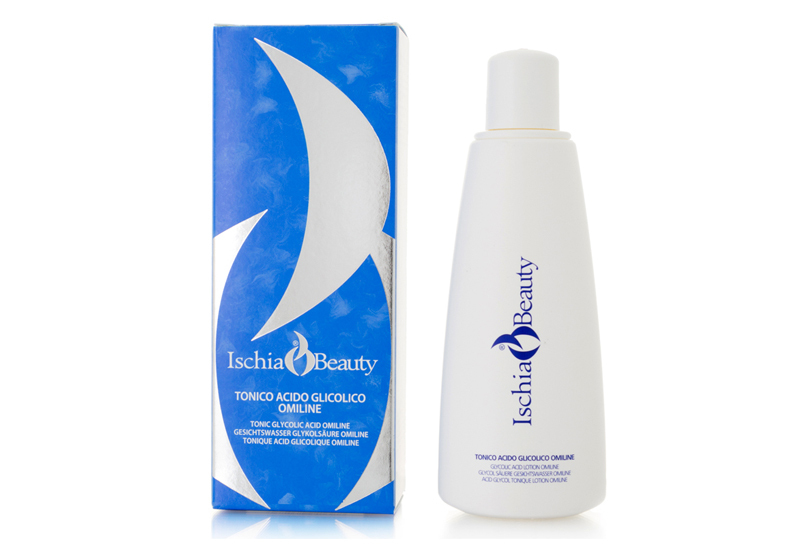 The daily use together with Ischia Beauty cosmetics based on the island of Ischia Thermal Spa Water greatly improves the skin. The skin will be soft and toned. Instructions for use: we suggest morning and evening after cleansing the face with Cleaning Milk, to apply Omiline Glycol Acid Tonic with cotton wool, delicately patting face, neck and décolleté. After apply Day Cream or Night Cream.